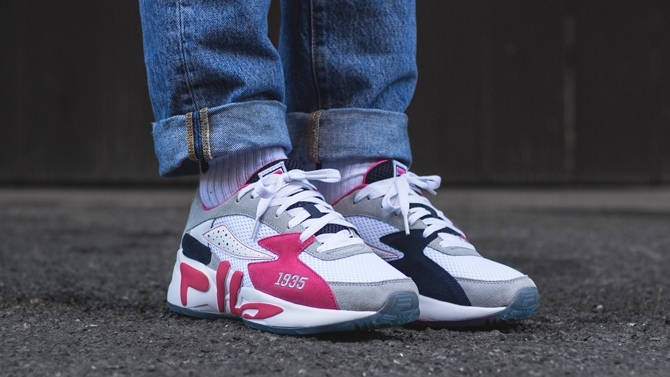 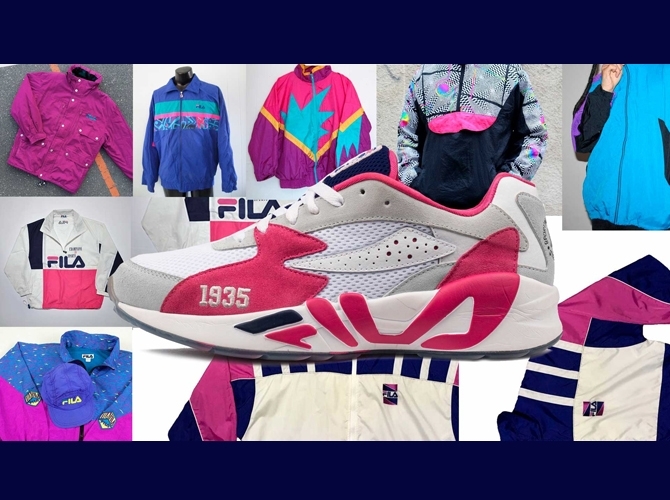 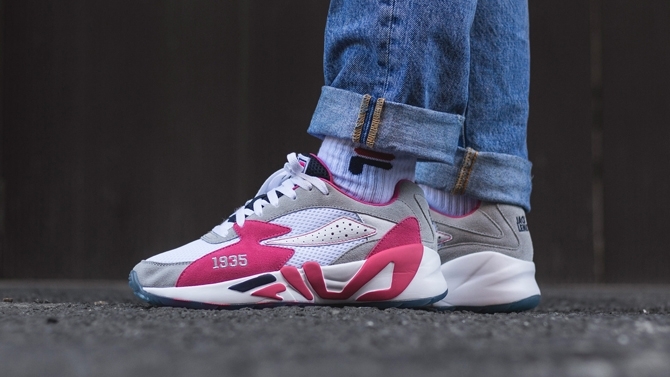 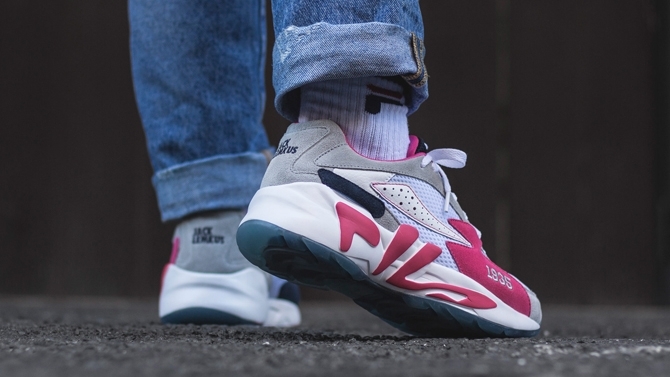 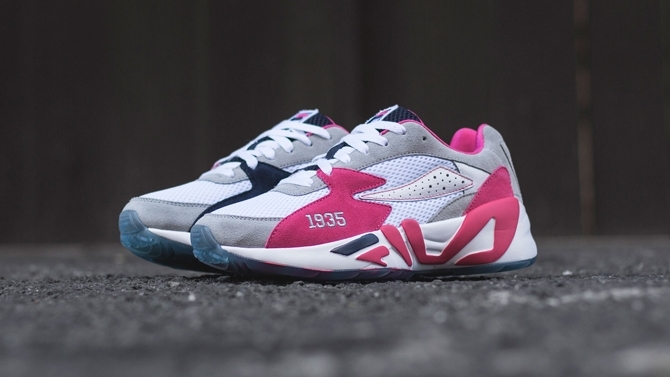 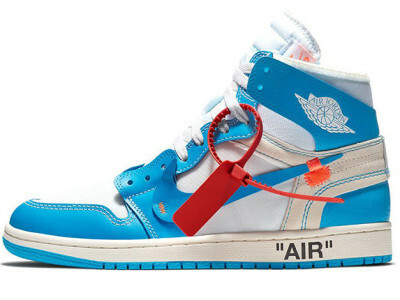 The well known South African sneaker and streetwear retailer Jack Lemkus has teamed up with FILA USA to bring you a sneaker that tickles your senses. 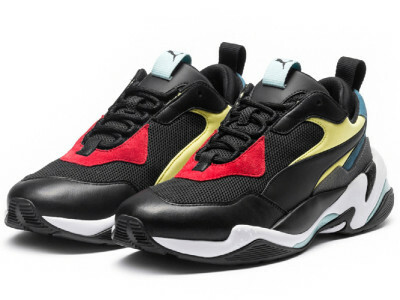 Dubbed the “Mindblower” the sneaker is a collaborative effort with the aim of paying homage to the past and present. 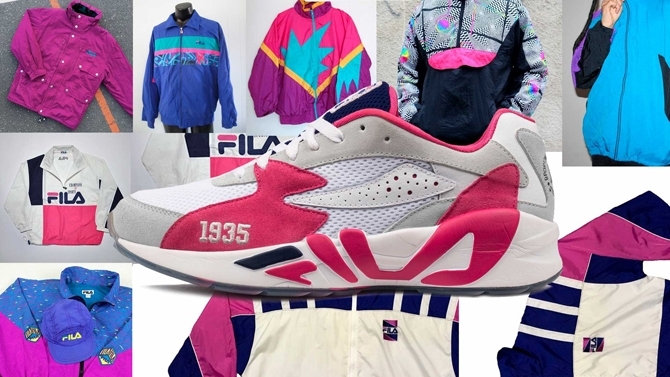 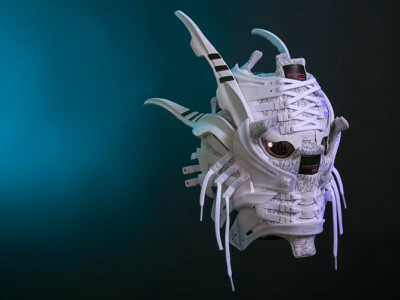 FILA promptly conjured up a unique mix of retailers, artists, influencers and designers who offered their own take on the Mindblower, with each one incorporating colours, graphics and various elements to portray their creative identity. 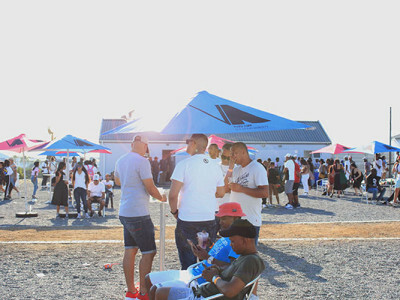 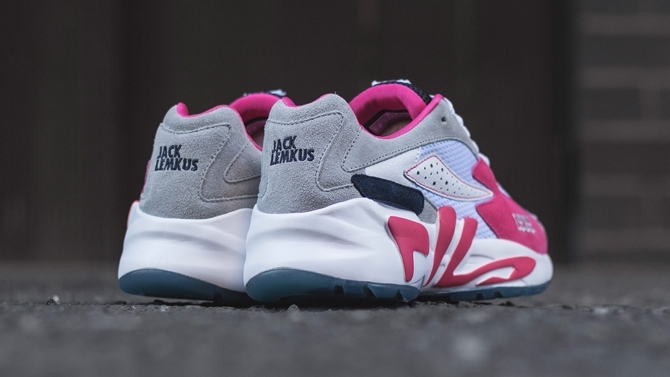 Jack Lemkus opted for some 90s flava with an array of vibrant colour inspired by 90s wind breakers. 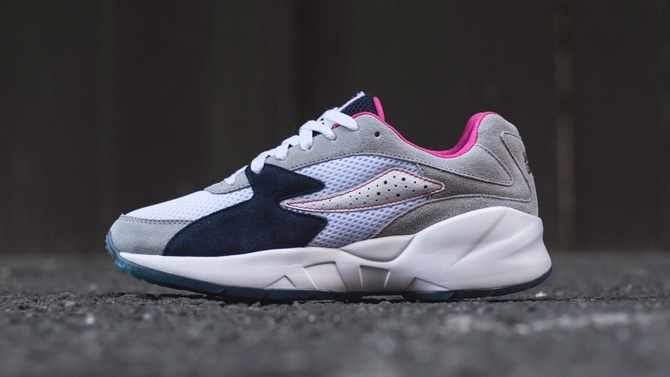 The sneaker itself features a navy and white mesh upper, a touch of hot pink incorporated with navy suede panels and grey nubuck. 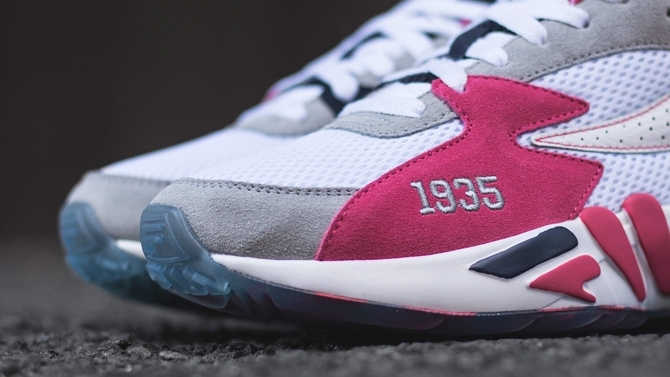 “1935” is also embrioded on the toe box symbolising the year in which the store was established and it’s rich history in Cape Town. 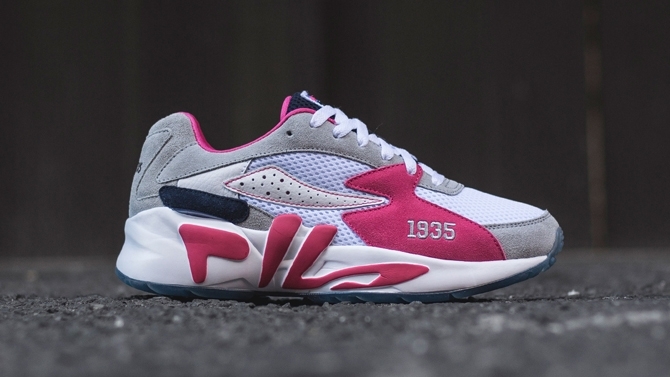 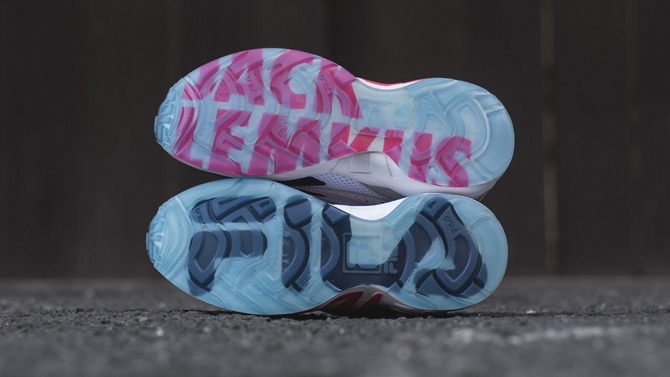 An additional feature is a translucent sole featuring Jack Lemkus and FILA branding. 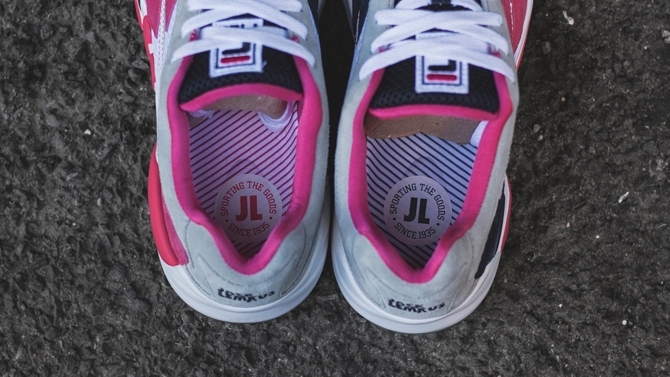 The FILA x JACK LEMKUS MINDBLOWER will be available at JACK LEMKUS on Friday the 20th April and is limited to only 45 pairs in South Africa (R1999,00 – UK4 TO UK11). 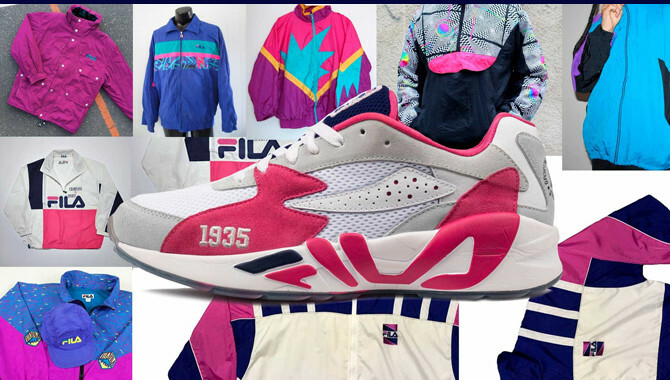 Another 45 pairs will be split and will be available at the FILA MINDBLOWER POP UP STORES IN NYC, SEOUL AND TOKYO.